The Betway online gambling site is able to provide its players with a selection of betting options. It incorporates sports betting options, casino games, poker, and several other possibilities. The site itself has been active since 2005, meaning that it has over a decade of experience with providing online gambling services to avid players. 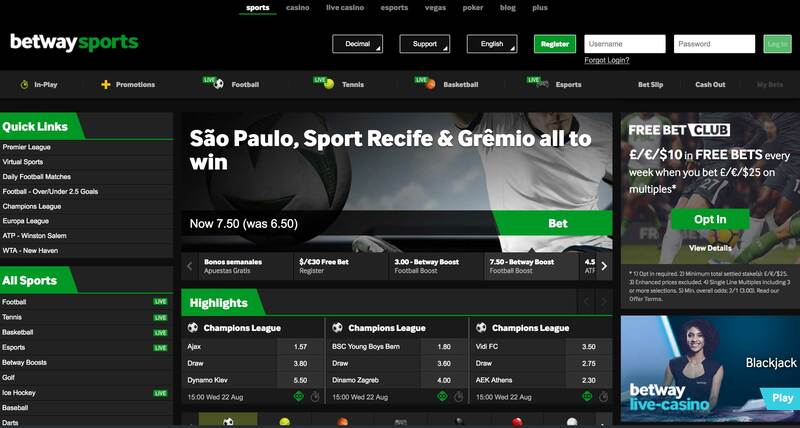 It’s also operated by Betway Limited, meaning that it doesn’t run under the operation of a different company. Instead, Betway is responsible for the entirety of this site. Not only that, but if you aren’t interested in always placing wagers via your desktop computer, you can also play via a mobile device. This is because Betway provides its members with the ability to download a mobile app. It’s available for both iOS and Android devices, so you simply need to navigate to your device’s store and locate the Betway app. This is free of charge to download, and you can log in with your same details as the desktop version. With this, you’re able to access the sports betting options and the mobile casino, too. Betway Limited is based out of Malta, which also means that the gambling site holds a license from the same jurisdiction. Further to this, it has a secondary license, which comes from the UK Gambling Commission. Therefore, you’ll be placing bets in a safe and secure environment when you opt to play at Betway. You can discover more information about these licenses if you scroll down to the bottom of their site. 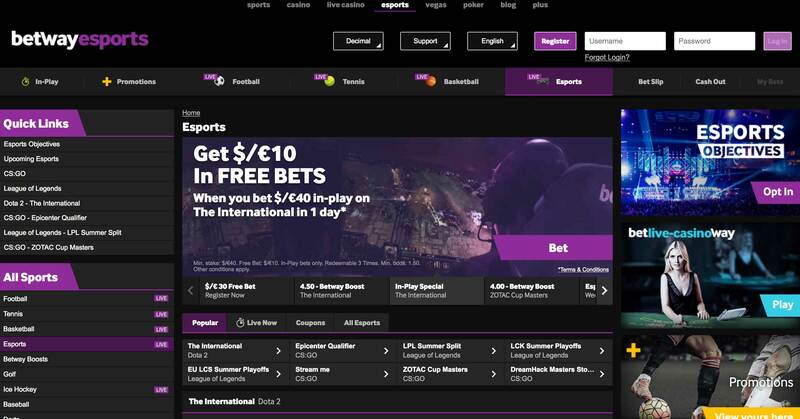 While Betway is open to a large number of countries when it comes to registering and playing there, certain locations are not accepted. These include countries such as Denmark, France, Mexico, Romania, Italy, Turkey, Australia, and the United States. Therefore, some of the larger gambling markets are shut out of being able to play at the site. Yet for those who can sign up, there’s plenty to look forward to. If you decide to become a member of the Betway platform, there is a welcome offer on hand for sports betting fans. From this, you will receive a £30 free bet to use on whatever sporting events you like. These free bets also don’t have wagering requirements for you to complete. All you need to do to receive such is make your first deposit, and you will receive 100% match based on this amount, up to £30. Therefore, it’s always great to make your first deposit at Betway count! Alternatively, if you’re more of a casino player, then you can choose to receive the special welcome offer for that section of the site. The first part of the bonus offer will give you a 100% match bonus up to £250 on top of your first deposit of £20 or more. In addition to this, you’ll receive up to £250 on your second deposit and up to £500 on top of your third deposit at the casino. There are wagering requirements of 50 times the bonus amount to meet for these bonuses, keep in mind. These bonus funds can be used in either the standard casino or the live dealer casino section. 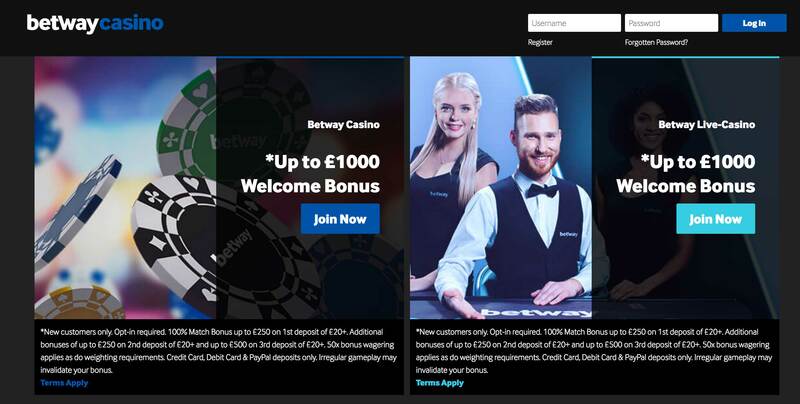 The third welcome offer that is open to you relates to the Betway poker room. As long as your first deposit is of £10 or more, you can claim up to £750 in bonus funds. Once you download the poker software and begin playing, you’ll earn Poker Loyalty Points. When you amass 100 of these, you’ve earned £1.50 in bonus funds. As you continue amassing these, the bonus funds are released in 1% increments of the total amount that you have received. When you want to make a deposit into your Betway account, you will be able to make use of several different payment methods. Credit and debit cards can be put to use, including those coming from Visa and Mastercard. There’s also the option of utilizing an ewallet, with the site accepting deposits made by Skrill and Neteller. Entropay prepaid virtual cards are also accepted, while Paysafecards can also be used. Alternatively, you can easily make use of a bank wire transfer, although this takes longer for the funds to appear in your account. Other rarer or country-specific payment methods that Betway accepts include Click2Pay, Citadel, Instadebit, and ClickandBuy. All deposits at Betway are free of charge, although there isn’t any information published as to minimums and maximums that you’re able to transfer into your account. As far as withdrawals go, you have many of the same options as those that are available for depositing with. The ewallets that the site accepts are perhaps the fastest way to withdraw your funds, allowing you to receive such within a 24-hour time period. The Visa and Mastercard options are also available, with transfers taking between one and three business days for these transactions. The same is true of Entropay withdrawals. If you opt to use a bank wire transfer, though, this process takes longer. Funds will be sent to you and in your account within five to seven business days. Withdrawals are processed within 24-48 hours at Betway, and these are all done free of charge, too. Should You Play at Betway? 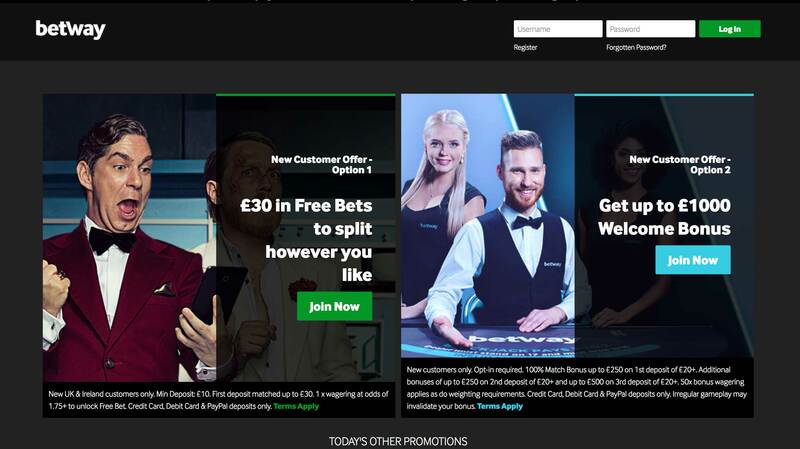 t’s very clear to see that Betway does things the right way, starting from its appealing overall design and inclusion of multiple betting options. The sports platform offers various events for you to wager on, while the casino is able to provide a multitude of games from top-quality developers. Additionally, with the inclusion of different promotions for each of the site’s sections, there’s definitely something for everyone to benefit from. You’re also able to access the platform via a mobile device, which means that you can access whatever Betway has to offer from anywhere. It’s a bit of a shame that more information isn’t published on deposit and withdrawal minimums and maximums. Furthermore, it would be great if Betway were available to some of the world’s larger gambling markets. Yet these are fairly minor gripes in relation to the site. Overall, it has a lot to offer to avid gamblers. There’s 24/7 customer support available for you to contact should you ever need help, and everything is safe and secure, thanks to the licenses that the site holds. We would certainly recommend becoming a member of the Betway platform and experiencing all that it has to offer.